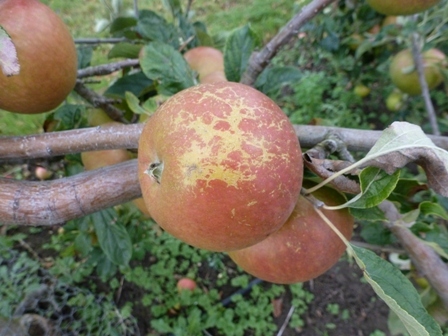 18th Aug 2017 - The English Apple Man website is now 8 years old! 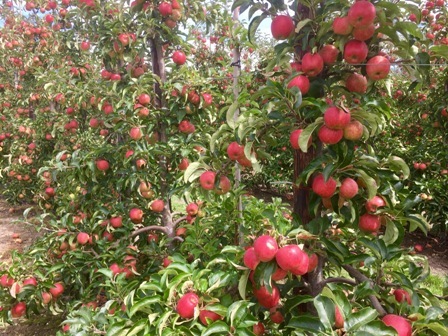 Over the last 8 years more than 400 English Apple Man Journals have been published, covering a multitude of subjects, mainly, but not exclusively about apples and pears. 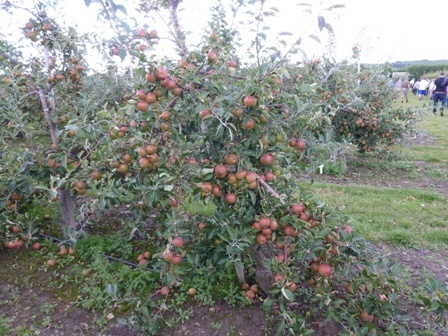 In this week's Journal, we come 'bang up to date' with the East Kent Fruit Society (EKFS) Orchard Competition Walk: On Tuesday evening, members of EKFS gathered at A.C.Goatham & Son 'Shrubbery Farm' at Eastry near Sandwich in East Kent. 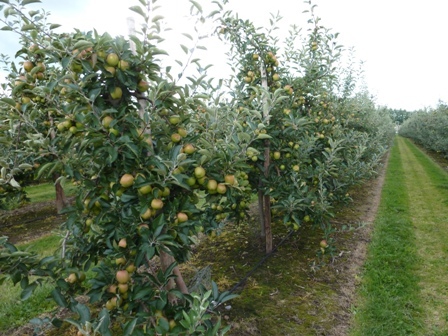 The winner of this year's Orchard Competition was A C Goatham & Son with a Zari orchard at Griffin Farm, Sutton Valence. 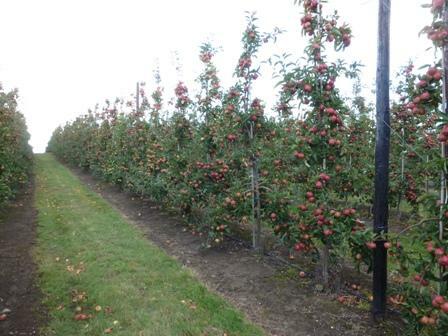 This orchard won Class D best dessert apple. 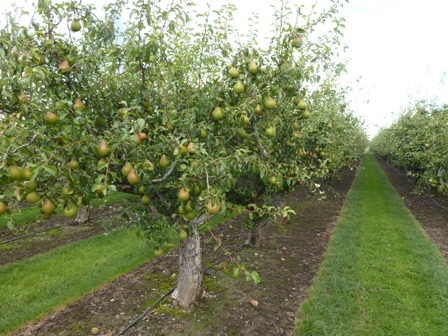 AC Goatham & Son also won Class B Dessert - Gala, Class F - Most Commercial Orchard, Class G Pears (V System), Best Orchard Over 1,000 trees and Best Orchard Under 1,000 trees along with being placed in other classes. 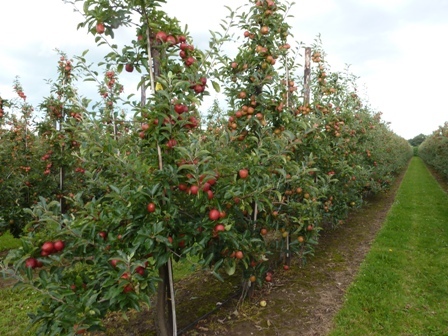 It was decided to hold the walk at Shrubbery Farm as the majority of the winning orchards and placed orchards are at Shrubbery Farm. This year is a much earlier season than 2016 and is illustrated perfectly by the two pictures below. The first was taken on 19th August 2016 and the second on 16th August 2017. This is a family business, run by Clive Goatham and his son Ross. It has been in business for 70 years. 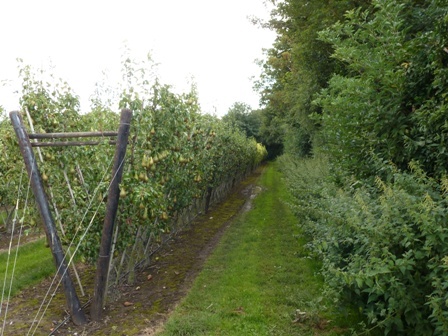 The company farms 'over<' 2,000 acres and Shrubbery Farm is 120 acres. 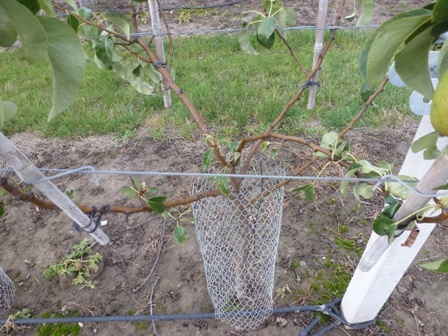 There has been a major replanting programme over the past 7 years. 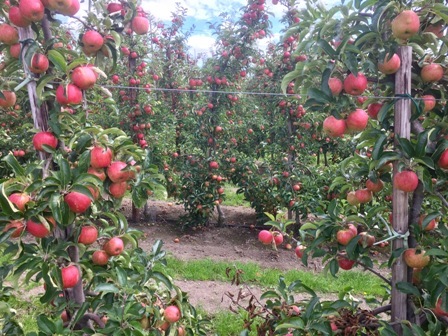 The farm is made up of 28 acres of Gala, 34 acres of Zari, 8 acres of Braeburn, 8 acres of Bramley, 17 acres of Cox and 25 acres of pear. This is an interesting farm with a variety of systems in place. 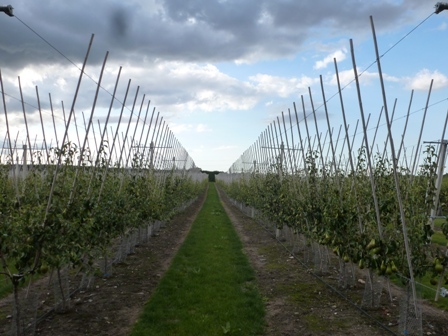 Welcoming EKFS Members to Shrubbery Farm, Ross Goatham led the walk around the orchards at Shrubbery: first stop was the Vee System Pear orchard planted in 2010 and the precursor for the new plantings of Conference pears all planted on Vee System format on several A.C.Goatham farms...........UK Conference 'average yields' are below 20 tonnes per hectare, but the yield from this 'trial orchard is now consistently over 40 tonnes a hectare; recording: 2013 = 21.3 tonnes - 2014 = 42 tonnes - 2015 38.6 - 2016 = 42 tonnes (all per hectare) and predicted to be in excess of 40 tonnes in 2017. Nigel Stewart, Technical Director at AC Goatham & Son comments: "We are delighted to have won so many awards at this year's competition. 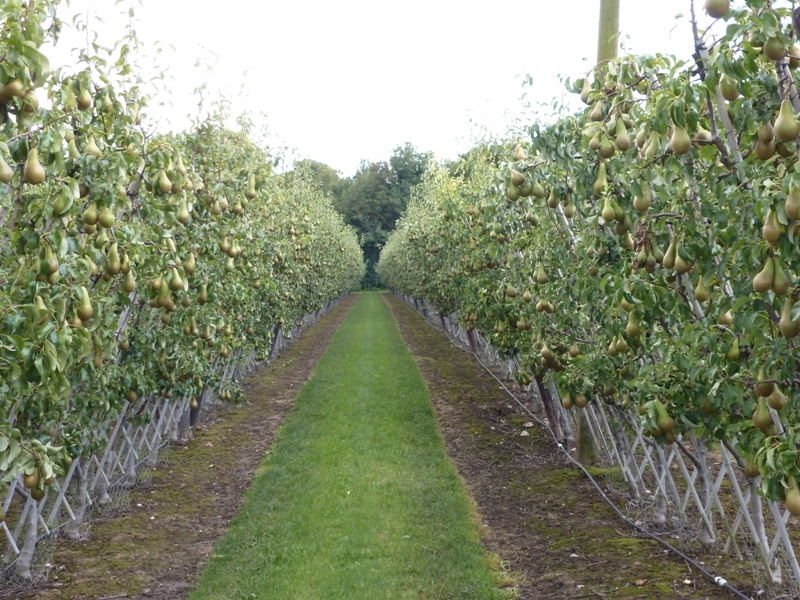 We consistently strive for uniformity and perfection across all of our orchards and this year both of these farms have been a real showcase for the individual varieties of apples and conference pears. The hardwork and commitment shown by the whole growing team throughout the year helps to achieve these excellent results." 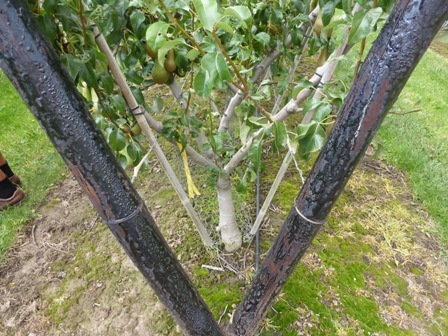 "2017 has been a very challenging year for growers with the late, hard frosts in the spring followed by the very long dry spell and then the recent heavy rain, which brings with it the threat of hail. 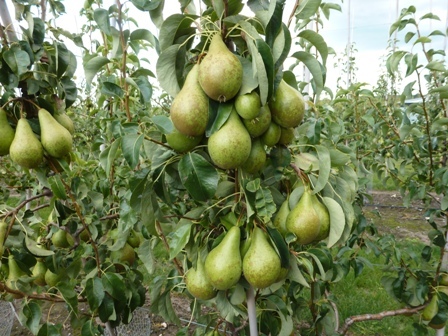 We are beginning harvesting today (16 August) at Griffins Farm and we will all be relieved to get this year's crop into cold stores and then out directly to customers."